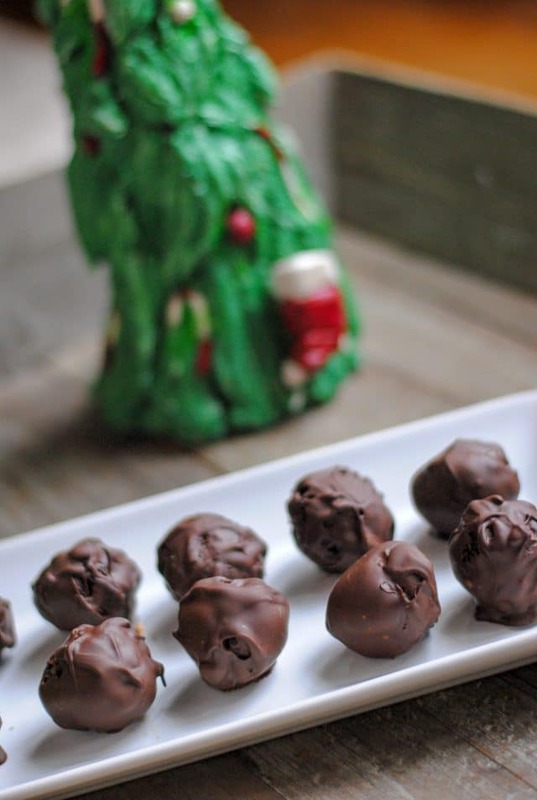 Back in the day, before the craze of cake pops and cake pop makers, I used to make these wonderful holiday treats we called cake balls. I’d stick them in the freezer and enjoy one or two after each meal (uh-huh!) during the holiday season until they were gone. They were a cherished dessert and my kids still remember them fondly! Fast forward to three of the six of my family members being gluten-free. 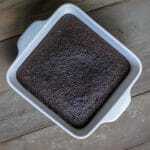 No longer can I make them with the good ol’ cake boxes that I used to use – nor would I want to. These days, I’m more concerned about what ingredients are in my foods, but I’m certainly no stranger to the occasional (or not-so-occasional) treat. 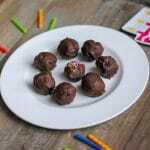 So today I’m sharing a tried and true favorite that’s been healthified, but is still an absolute winner: gluten free cake pops. Step 1: Bake the cake. There are three steps to making gluten free cake pops. First, you need to bake a cake. Gluten free, of course. Back in the day, I used any old box mix; today, I choose Simple Mills Yellow or Chocolate Cake Mix because I believe in their products and know the ingredients. I mean, there’s nothing too crazy about almond flour, coconut flour and arrowroot, right? 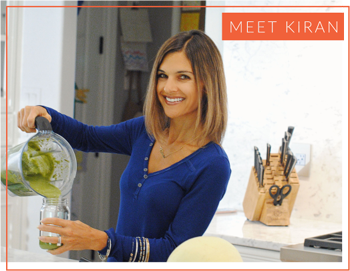 With just 7 ingredients, I feel confident about what I’m putting in my body – and my family’s, for that matter! So step 1 is to bake the cake as directions indicate on the box. Step 2: Mix frosting into cake. After baking the cake, you must let it cool. I speak from experience; doing this with a hot cake is not advisable! ;) Once it’s cool enough to handle, take a fork and crumble it into a large bowl. 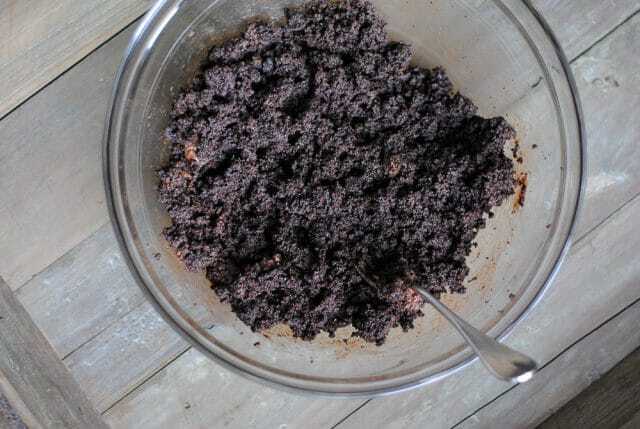 Then take a container of frosting (I use Simple Mills again since they are lower in sugar and contain recognizable ingredients) – either chocolate or vanilla – and mix the container into the crumbled cake. A tip: I heated my frosting for just 20 seconds in the microwave to get it nice and creamy. It does not suggest doing so on the package, but I did this with success. Really get that fork to mix the frosting and cake together to ensure it’s smooth, as this will be the inside of your cake pops/balls. Step 3: Roll the mixture into balls. After mixing, I put my bowl with the mix in the freezer for 15 minutes to help it harden up, but this step is optional. You’ll need to line a baking sheet with wax paper and roll the mixture into balls the size that you want your pops to be. A cookie scoop is most helpful for this! You have the option at this point to either put them on cake pop sticks, or leave them as is. After rolling into balls, put the baking sheet (with the gluten free cake pops on them) in the freezer for 30 minutes. Step 4: Melt the chocolate and dip the cake pops in them. Using a double boiler, or even your microwave (my method of choice since I find it easier), melt chocolate chips (in a microwave-safe bowl) for increments of 30 seconds until melted. At this point, throw a few more chocolate chips in and stir them into the mix until they are also melted. Swirl the balls around briefly into the melted chocolate and then back onto the wax paper. 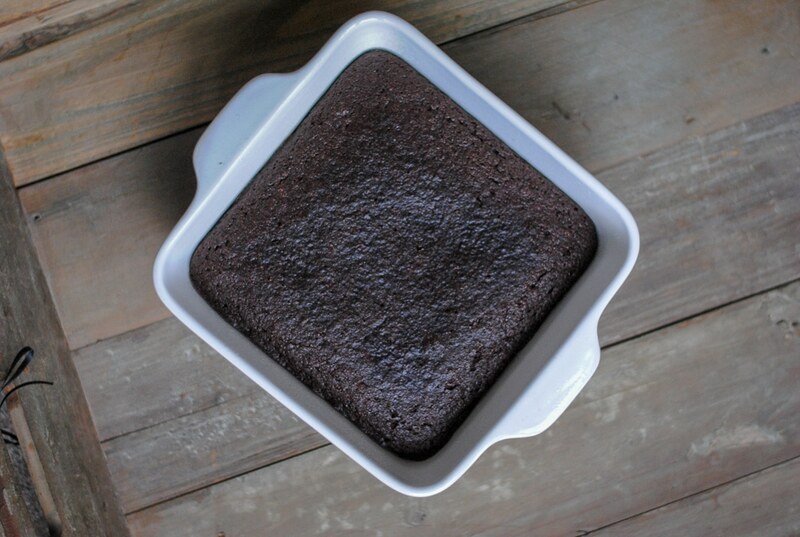 You’ll need to reheat more chocolate to complete all of the process. 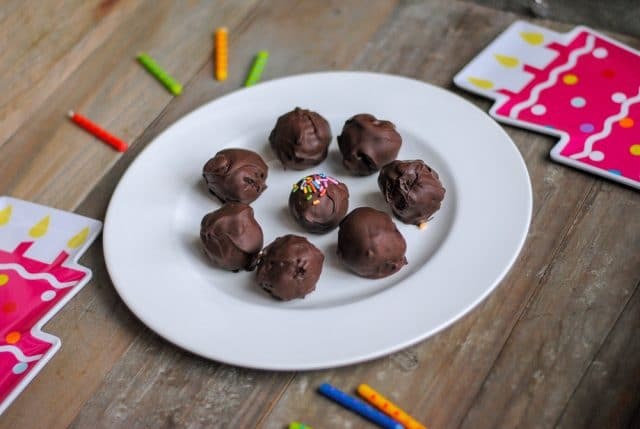 Gluten free cake pops are made with just 4 ingredients & are the perfect pop of sweetness for holidays, birthdays, or anytime you want a bite-sized dessert! Bake cake as directions indicate on package. After baking, let cool. Roll into bite-sized balls and place on a baking sheet lined with wax paper. Stick lollipop sticks in if desired. 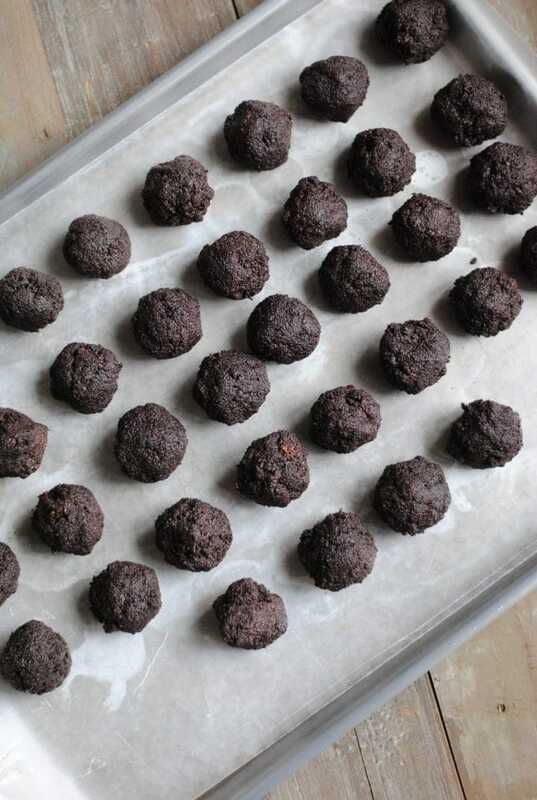 Place rolled cake balls on sheet into the freezer for a minimum of 30 minutes. 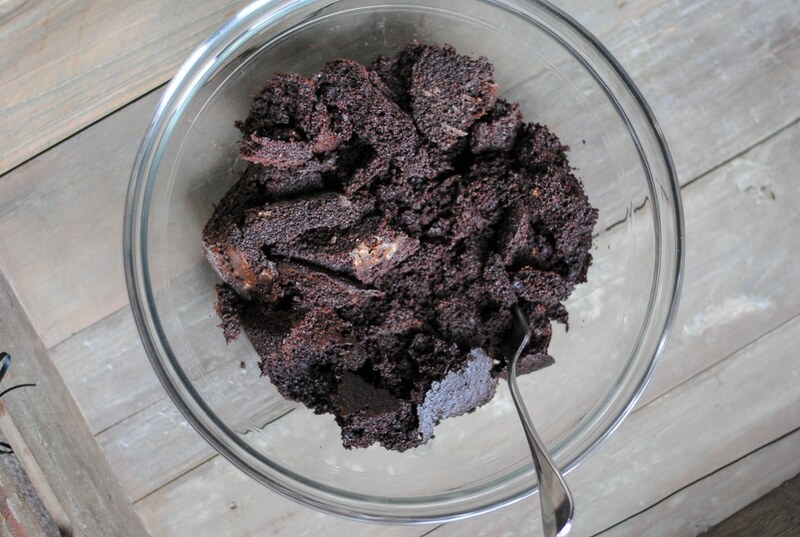 In a microwave-safe bowl, heat 3/4 cup chocolate chips for 30 seconds. Mix, and heat for another 30 seconds. 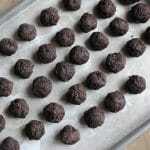 Using a spoon (or two), dip balls in chocolate until covered; place on waxed paper when covered. Repeat heating chocolate and covering cake balls. I generally get 9-10 cake pops covered for each 3/4 cup melted chocolate. 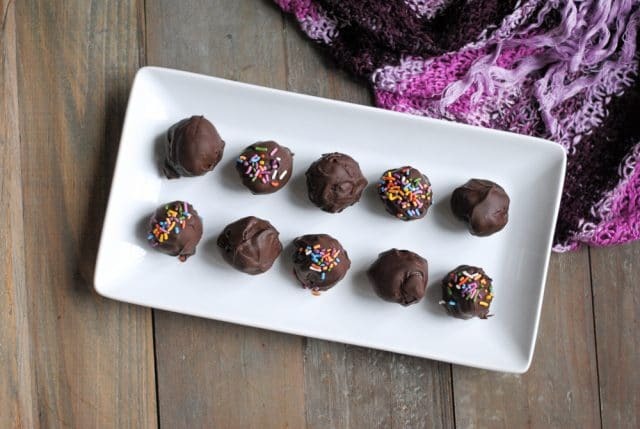 Place chocolate-covered cake pops in fridge for 5 minutes to cool before enjoying. Store in fridge. It took me two heating times of 30 seconds for 3/4 cup of chocolate. I repeated this process, making 10-11 cake pops each time with this amount of chocolate. Gluten free cake pops are seriously one of our favorite treats any time of year. Since two of my kids are gluten-free, I often make them and keep them in the freezer so that they can take a couple with them when they go to parties where there may otherwise not be treats available that they can enjoy. I also LOVE making these around the holidays for our family, to gift to others, and of course to leave out for Santa! Such fun! 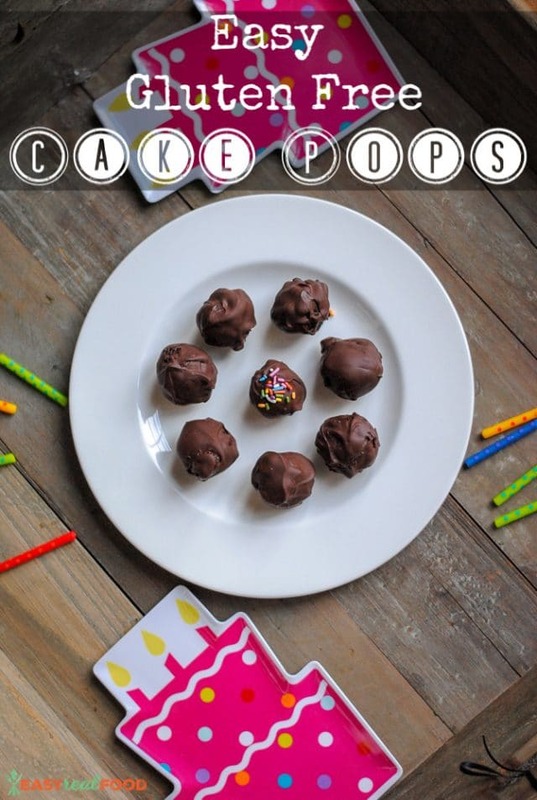 Little kids LOVE cake pops and these are so easy to make! 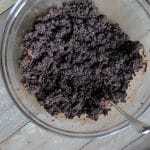 Such a simple recipe- awesome! These are just too cute and fun. I love how easy they are to make as well!